Other Common Names: Coughwort, bull’s foot, assfoot, farfara, horsehoof, foalswort, foal’s foot. Habitat: Coltsfoot can grow in damp or dry conditions and grows well in alkaline clay soil. It is usually found in places such as wastelands, on the side of the road or railway, hedge banks etc. It is native to some countries in Europe and Asia but has also been introduced and naturalized in North and South America. Description: It is a perennial herbaceous plant with yellow flowers that emerge in early spring and bear a close resemblance to the dandelions. The leaves appear after the flowers fade, are hoof-shaped with a width of about four inches and are slightly toothed along the margins. Plant Parts Used: The leaves, flowers and root. 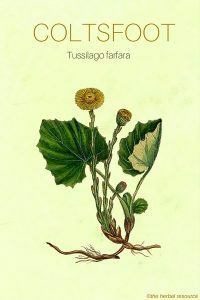 The main constituents of the herb are mucilage, bitter glycosides, and tannins which lead to the herb anti-inflammatory properties and make coltsfoot useful for curing coughs. Coltsfoot is best known as an herbal remedy to treat coughs and bronchial congestion. In fact, the botanical name, Tussilago, means ‘cough dispeller’. The herb has been used for this purpose and to provide relief from other respiratory disorders since pre-historic times. 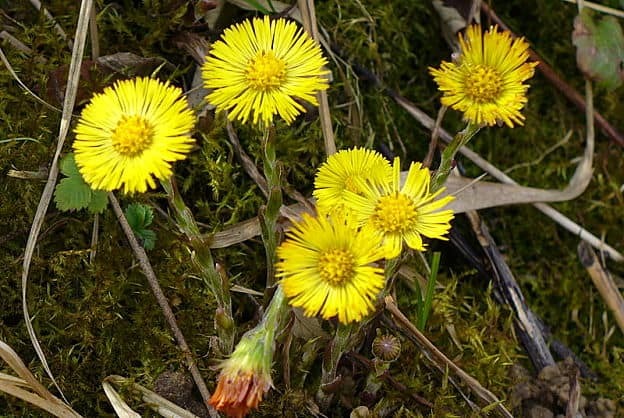 Coltsfoot root contains pyrrolizidine alkaloids, which may adversely affect the liver. However, a large part of these alkaloids is destroyed in the process of boiling the plant in order to prepare a decoction and it’s safe to use the herb in low doses. It is particularly useful in curing chronic coughs, as in the case of emphysema or silicosis. The leaves are widely used in European countries for medical preparations, and in China, the flowering stem is the preferred ingredient, even though the flowers have a higher level of the alkaloids. Though the leaves and flowers are the commonly used parts, at times the root is also used. 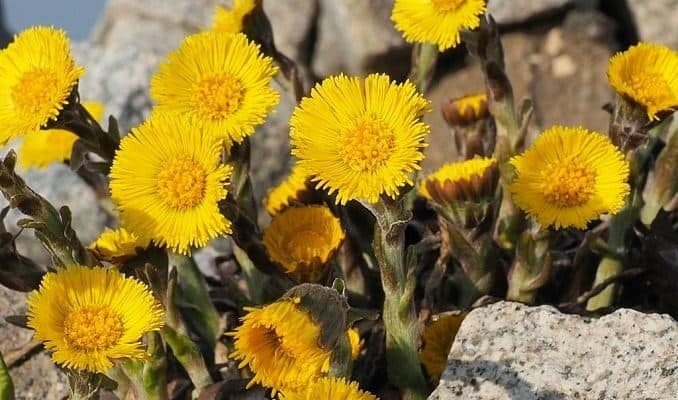 Coltsfoot has also been found useful in the treatment of other conditions such as asthma, laryngitis, bronchitis, whooping cough, headaches and obstruction in the nasal passage. The flowers are also used in the preparation of a poultice, which is used to provide relief from skin problems such as sores, eczema, ulcers and inflammations. A decoction of coltsfoot may be prepared with one ounce of leaves and one quart of water that is boiled to the point where the water has been reduced to a pint and then this preparation can be sweetened with honey. Frequent cups of the decoction throughout the day should provide relief from colds and asthma. The root of coltsfoot, if consumed in large doses can prove to be toxic. This is due to the presence of alkaloids that might have damaging effects on the liver. In fact, Germany has banned the use of coltsfoot root for internal use.